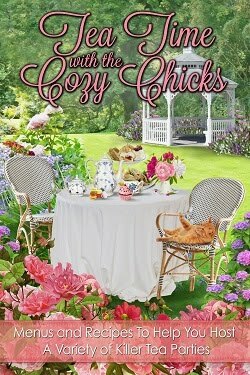 Cozy Chicks: Pets who read mysteries! 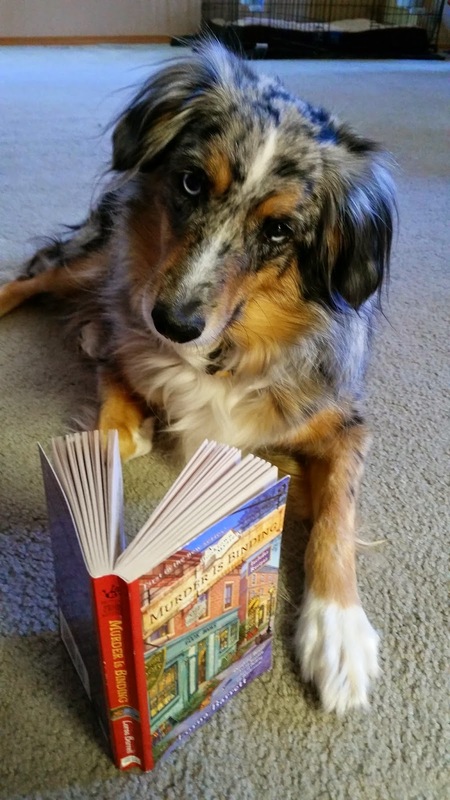 Last week I ran a contest on my blog and Facebook: Send me a picture of your pet reading my book to enter for a chance to get an advance review copy of my latest Booktown Mystery, BOOK CLUBBED (which will be available on July 1st). I had a great response. 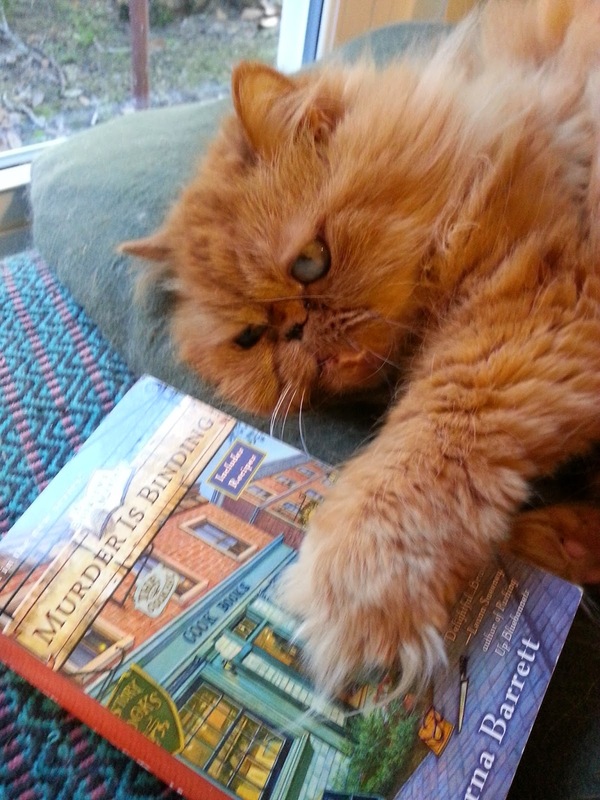 Several cats decided to start at the very beginning of the the Booktown series with Murder Is Binding. That's Debbie L's cat Smithie. 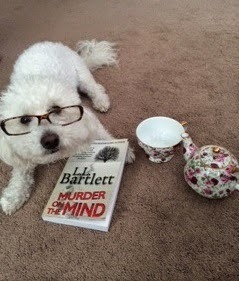 She says she can't get enough of the Booktown Mysteries! To the right is Laura I's girl Kit-Kat. 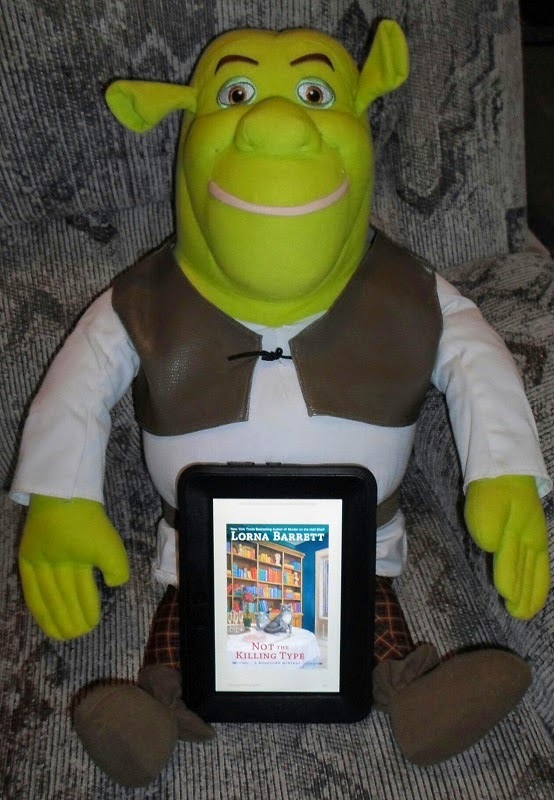 She told her mom, "Stop bugging me with this picture taking...can't you see I'm about to sink my teeth into Lorna Barrett's Murder Is Binding?!" 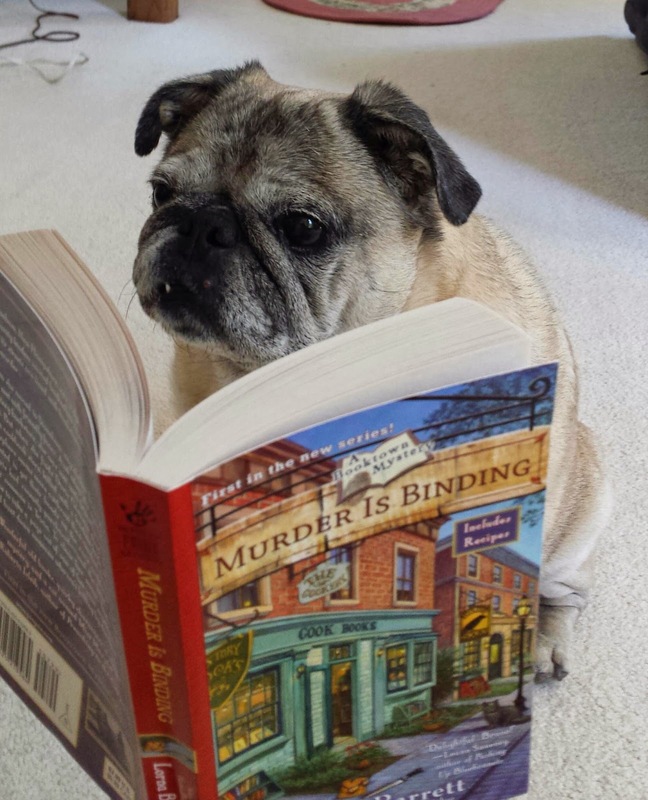 A few of the pets decided to try my other series, like Linda's K's dog Gizmo decided to read One Hot Murder (the third book in my Victoria Square mystery series). I got many more entries, and I'll be posting all of them on Facebook during the next week or so. 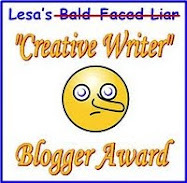 I hope you'll visit my profile page to see them and comment on them! These are absolutely adorable photos!! How sweet they all look, this made my day. 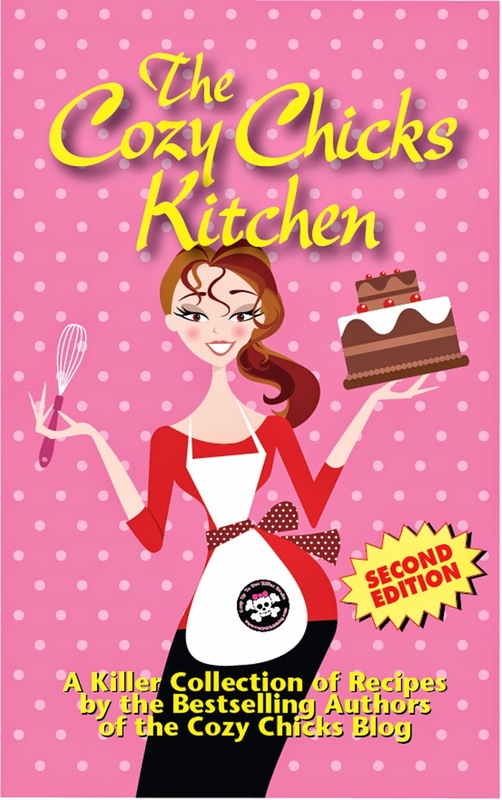 I got my book in the mail :) Can't wait to read it and I will absolutely be writing a review!